¤ Sera Cahoone is a long way from home. Growing up the daughter of a dynamite salesman in the Colorado foothills, she got her start on the drums at 11, and at 12 her mom was taking her to dive bars to sit in with the scruffy old bluesmen. By the time she picked up a guitar, she had been so shaped by these things – the dynamite, the blues, the woods and the hills – it’s no surprise she went on to be one of the strongest songwriters in Seattle’s ever-vibrant Americana scene. 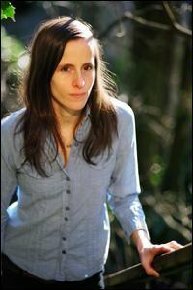 ¤ Since migrating to Seattle in 1998, she has played with Carissa’s Wierd, Band of Horses, Betsy Olson, and singer-songwriter Patrick Park. She released her solo debut in 2006, and her widely acclaimed Sub Pop debut Only as the Day Is Long in 2008. ¤ Deer Creek Canyon, her third solo album, sees her ruminating on the gravitational pull of home. Titled for the Colorado canyon where she came of age, where her mother still lives, Deer Creek Canyon delves deeper and sees her voice remarkably stronger than on her past albums. Where her previous efforts explored the complicated throes of dark emotions, this album is more richly focused. Home is even present in the more personal songs struggling with various facets of love and friendship (“Worry All Your Life”, “Shakin’ Hands”). ¤ Deer Creek Canyon was recorded in 2012 at Bear Creek Studio in Woodinville, Wash., then headed to LA where Sera co-produced it with Thom Monahan (Devendra Banhart, Vetiver). True to her sensibilities, she enlisted the talents of her long-time live band – Jason Kardong(pedal steel), Jeff Fielder (acoustic guitar, banjo, dobro), Jonas Haskins (bass), Jason Merculief (drums), Sarah Standard (violin) – plus Tomo Nakayama on piano and organ, and Emily Ann Peterson on cello. ¤ All these things contributed to Cahoone singing from a firmer foundation this time around, trusting the simplicity, bending against the elements like those trees in Deer Creek Canyon. Listen closely, the music feels like home. 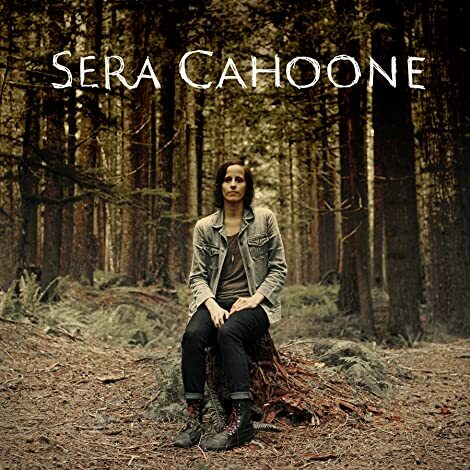 ¤ Sera Cahoone has spent her career flying under the radar. Despite being an integral singer-songwriter in the Seattle music scene, and despite having played with bands like Carissa's Weird and Band of Horses, Cahoone's solo albums have been critically celebrated -- especially 2008's Only As The Day Is Long -- but seemingly heard by few. Her understated knack for Americana-touched folk tunes may account for that, but her carefully detailed and bittersweetly emotive songwriting still deserves more attention than it has received. ¤ Her first album in four years, Deer Creek Canyon, is another solid turn from here, full of shadowy, textured country and folk songs that evoke place awfully well. This trick may seem unsurprising for an album named after the area Cahoone grew up in, but it's an album that seems to be simulataneously about the ties we have to places and people and also the ways in which we can become alienated. "Naked" has Cahoone revealing secrets, becoming vulnerable and feeling all the more isolated for it. "I just cannot speak at all," she admits wearily, "because I'm feeling naked." The dusty gem "Rumpshaker" (no, not that "Rumpshaker"), Cahoone recounts a relationship that seems long gone, with someone "stuck in [their] ways." Twanging ballad "And Still We Move" lists the artifacts left behind after love breaks. "I've got your pictures spread out on the floor," she pines, as she tries "not to erase all of you." ¤ This idea of not losing things, of holding on to the past for better or worse, weaves it way through the entire record. The title track doesn't lament missing home so much as it recognizes the double-edge of wanting to go home again. If there's something that gets in our way more than the past, or keeps us stuck there, it seems to be our words. Cahoone spends a lot of time watching her words fail her or fail others. "Every Little Word" and its overcast counterpart "One to Blame" discuss the consequences of words, how they can inflict hurt, how trust can be a slippery thing to keep steady in a relationship. ¤ So we have the sturdiness of landscape here as the backdrop for various types of personal tumult. If what Cahoone does here isn't new, it still feels fresh. Her songs are clear-eyed and heartfelt, her melodies patient but effective. This combination of firm ground and wandering emotions makes for songs that have a foot planted firmly in country and folk traditions, but that stretched out with warm pedal steel and plunking banjo. If Only As The Day Is Long was full of wanderlust, the songs themselves were also lean, coated in fine dust. These songs are thick with mud and much more expansive in their palate.They're anchored to place and yet stretch the boundaries around them. ¤ This doesn't always stop some songs from feeling like they trudge a bit too slowly like the do in, say, "Anyway You Like" or "Here With Me". In these moments, the bittersweet tones feel a bit too sweet, a bit too comfortable on their own turn. Overall,though, Cahoone has delivered another confident, solid record. These songs are close studies of the dark corners of our heart and the even darker corners of the places we've lived, the attics we've stored our relics from our murky pasts. in Deer Creek Canyon, home is always there over our shoulder, but we don't look back at it, not all the way, but rather just hope it gave us something, some knack for solving the puzzles we manage to keep creating. Like that idea of home, Cahoone never shouts to be heard, so perhaps this will be yet another record that doesn't fall on enough ears, but make no mistake, those who don't hear this will be missing out. 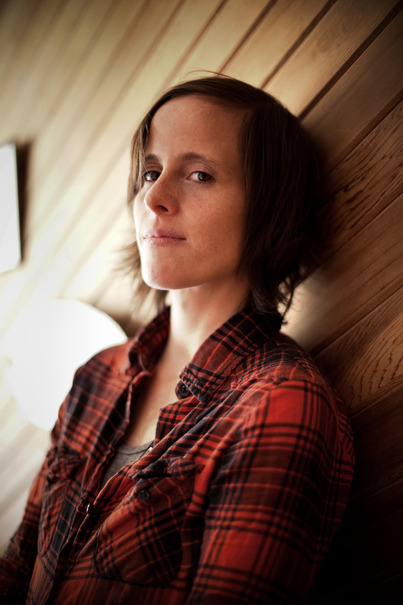 ¤ In "And Still We Move," from Sera Cahoone's gorgeous new album Deer Creek Canyon, the young singer's words fester and ache with loneliness and longing: "I'm trying hard not to erase all of you." But even at her most alienated and conflicted, Cahoone makes the most agreeable sound in the room. Hers is a voice of honeyed reassurance; of tranquility and grace in the face of life's wearying churn. Cahoone sings with authentic, convincing emotion — even bitterness, when warranted — but she can't help coming off like a trusted friend. ¤ Deer Creek Canyon doesn't shy away from emotional discomfort, but it's all conveyed in the most comfort-inducing manner imaginable. In the Aimee Mann-esque "Naked," Cahoone explores the way vulnerability can lead to detachment, but even her deadpan has a lilt to it. The album's bittersweet title track wonders at the gravitational pull of our hometowns, but never casts judgment on anyone involved. ("For all the love I have there, I needed to be on my own / My brother and my sister both left, and now they've gone back home.") But as dark and multidimensional as her subject matter can get — and, no, "Rumpshaker" is neither a Wreckx-N-Effect cover nor an ode to rump-shaking — Cahoone's musings exude the wisdom and perspective of an older sibling and a therapist rolled into one. ¤ Dressed in banjos, slide guitars, mandolins and strings, even Cahoone's saddest songs have a palliative effect. Like the two tremendous and mystifyingly little-heard albums that precede it, Deer Creek Canyon adds up to one long, calm, welcome pep talk — a perfectly warm and warming supplement to hot cider on a chilly fall day. ¤ Sera Cahoone was over 30 years of age when she recorded her first solo album in 2006, and it's not hard to hear that when you listen to her work -- there's a welcome maturity and a sense of emotional experience in Cahoone's music that rings clear in her voice and her simple but rock-solid melodies, and on her third release, 2012's Deer Creek Canyon, she strikes a lovely balance between the resonance of classic country and folk and the more outgoing approach of contemporary roots music. Six years may have separated Cahoone's Sub Pop debut Only as the Day Is Long and this follow up, but this music never sounds like it was worried over for too long -- if the songs and recordings were clearly crafted with care, they also sound spontaneous and organic, and Cahoone's vocals seem as natural as conversation but with a silky, richly textured beauty that's subtly enchanting. Engineer Thom Monahan (who co-produced the sessions with Cahoone) gives the material a warm, honest sound that's spacious and intimate at once, with the individual instruments giving one another plenty of room while cohering into a whole that's surprisingly powerful, and Jason Kardong's pedal steel guitar and the simple but evocative string charts on several numbers do wonders to make this music tug at the heartstrings. 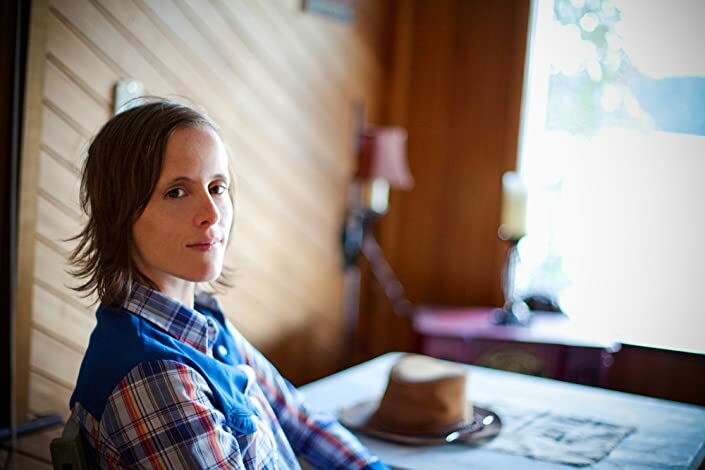 The music on Deer Creek Canyon is powerfully emotional, but Sera Cahoone never seems to be playing for cheap sentimentality or aiming for easy targets; these songs deal with the ache and longing of love and the difficult protocols of the human heart, and Cahoone's sketches speak with an honesty and realism that make them all the more incisive. Deer Creek Canyon is a work of modest genius that, like falling in love, manages to be simple and richly complex at the same time.